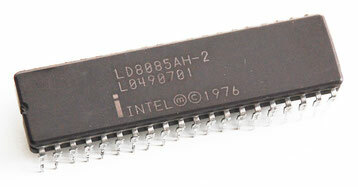 The Intel 8080 was the second 8-bit microprocessor designed and manufactured by Intel and was released in April 1974. It was an extended and enhanced variant of the earlier 8008 design, although without binary compatibility. The initial specified clock frequency limit was 2 MHz, and with common instructions having execution times of 4, 5, 7, 10, or 11 cycles this meant that it operated at an effective speed of a few hundred thousand instructions per second. 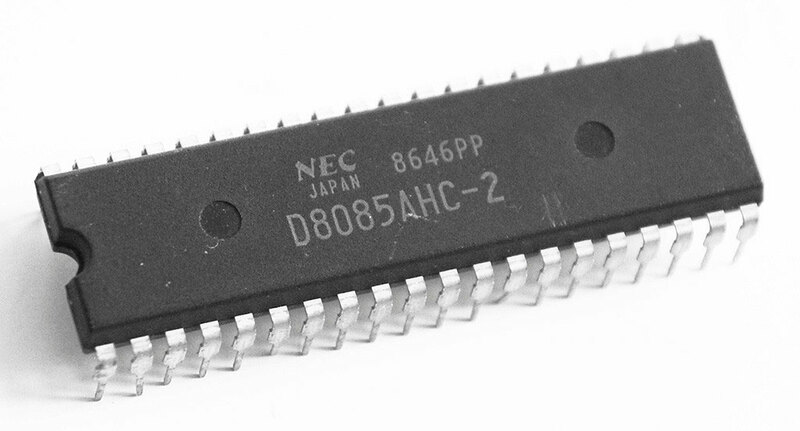 The 8080 has sometimes been labeled "the first truly usable microprocessor", although earlier microprocessors were used for calculators, cash registers, computer terminals, industrial robots and other applications. The architecture of the 8080 strongly influenced Intel's 8086 CPU architecture, which spawned the x86 family of processors. Manufacturing Date 28th week of 1978/88? The KR580VM80A (Russian: КР580ВМ80А) was a Soviet microprocessor, a clone of the Intel 8080 CPU. Different versions of this CPU were manufactured beginning in the late 1970s. Production ceased with the fall of the USSR. Initially called the K580IK80 (К580ИК80), it was produced in a 44-pin planar metal-ceramic (climatic) package. Later, a generic consumer version in a PDIP-40 package was produced and was named the KR580IK80A (КР580ИК80А). The pin layout of the latter completely matched that of Intel's 8080A CPU. 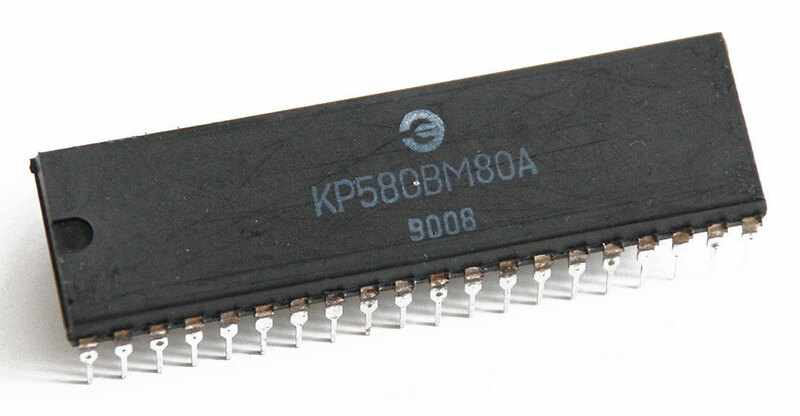 In 1986 this CPU received a new part number to conform with a new naming scheme and became known as the KR580VM80A (КР580ВМ80А), the number it is most widely known by today. Normal clock frequency for the K580IK80A was 2 MHz, with speeds up to 2.5 MHz for the KR580VM80A. The Intel 8085 is an 8-bit microprocessor introduced by Intel in 1977. 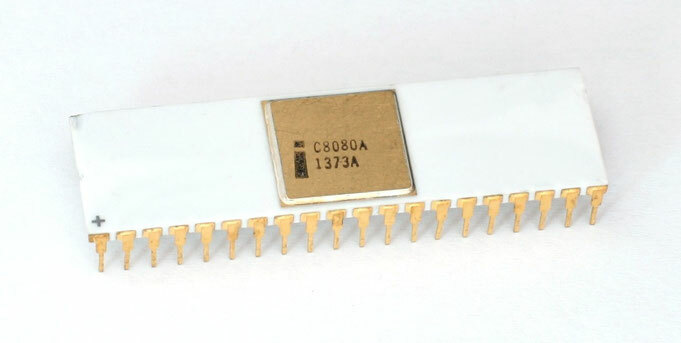 It was backward binary compatible with the more-famous Intel 8080 (only adding a few minor instructions) but required less supporting hardware, thus allowing simpler and less expensive microcomputer systems to be built. Manufacturing Date 44th week of 1978?? Kindly donated by Luo Hongfei (lhf_james) from the CPU-World forum.